It’s that time of year again – the most wonderful time of the year! If I’m going to say Europe does one thing right it is absolutely and without a doubt got to be Christmas. In late November when the weather really starts to get cold every historical city starts twinkling with fairy lights and mulling wine, making walks in the evening all the more magical. For hundreds of years, European cities have held the tradition of Christmas markets. Vienna, in particular, has been holding a month long Christmas market since the middle ages (1298 to be precise) when Albrecht I gave Vienna’s citizens the privilege of holding a December Market that they called ‘Krippenmarkt’. Today these markets boast rows and rows of vendors selling seasonal gifts and delicious treats and Christmas trees immersed in those twinkly lights we love so much. Christmas in Europe is truly magical. Take advantage of the opportunity to explore Europe during it’s most charming time of the year and pick up traditional gifts for your family and friends. Each market is beautiful and has something unique to offer. 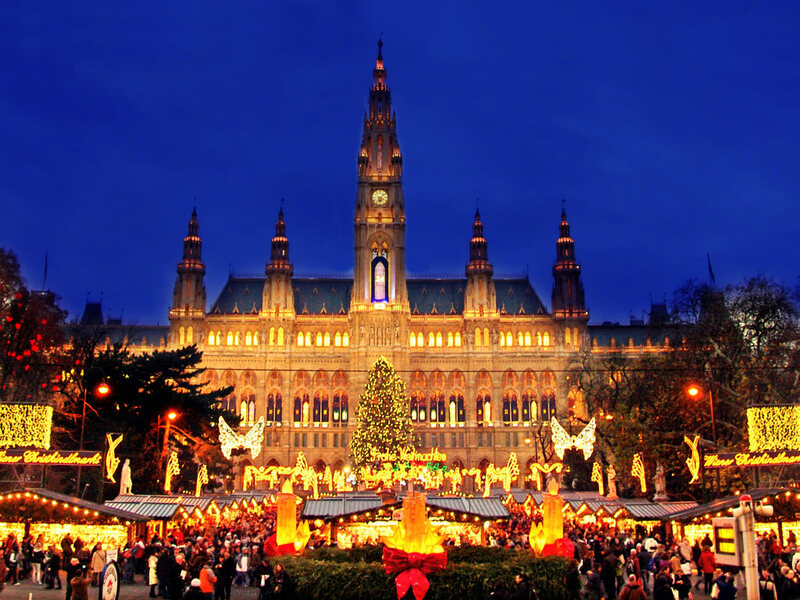 To experience the markets in Vienna visit florenceforfun and join us on our Winter Wonderland tour!